Wagner is originally from Costa Rica and has over 15 years of experience working with sea turtle research, conservation and fisheries management at small-scale fishing communities in Costa Rica, and a long career of leading hundreds of university student groups from North America, Australia and Europe through Costa Rica. He holds a Master's degree in Environmental Science and Management from the prestigious Bren School at the University of California in Santa Barbara. Wagner´s enthusiasm, travelling experience and passion for conservation and people, drives him and his team to provide the best possible experience for the participants. Marta started her career by working with fisheries in Europe as a fisheries observer in the North Atlantic, and as part of a team of European researchers working to provide economic alternatives for Spain’s small-scale fishing industry. She holds a Master's of Science in Marine and Coastal Management and she worked as a Marine Programme & Species Officer for the World Wildlife Fund (WWF) in Latin America. She has travelled through 20 different countries, loves all about nature, healthy food, Yoga, music and of course her two kids. Professional researchers, local logistic coordinators, qualify leaders and experienced host families are part of our BiomaTravel Expedition. 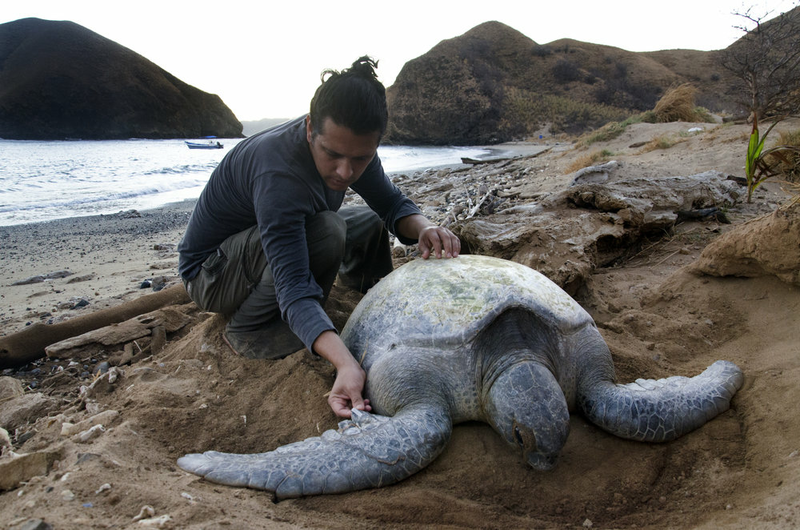 Our team has over 15 years of experience working with groups of students from all over the world, and we collaborate side by side with each participant as they are immersed into the research and conservation of sea turtles as well as the local culture. Each expedition is unique, and every time our team delivers an extraordinary and life-changing expedition experience to our participants. Carly Kay, Haley Glasmann, Karla Ramos, Kiana Otte and Johanna Pelayo are BiomaTravel Ambassadors. All of them are 2017 Bioma expedition alumni that together make a great team of enthusiastic, smart, hard-working UC students. They are experienced travelers in Costa Rica and are passionate about sea turtle conservation, research and coastal community development. You will see them around some of the Universities of California, talking about our Expeditions while trying to get more students involve in this fantastic experience. • Deliver a highly safe program; we believe that after achieving the highest safety standards, we can then accomplish all of our goals effectively. • Provide a high quality educational traveling experience that teaches skills that will remain forever. • Expand our passion about sea turtle conservation believing that it will bring more contribution to marine conservation. • Discover cultures in a practical learning environment through respect and awareness. • Provide a responsible program that respects and protects the well-being of people, their culture and the environment. • Empower local coastal communities and our participants to support responsible development efforts. • Inspire new generations with experiences, knowledge, and tools that would enable them to take action in nature conservation.